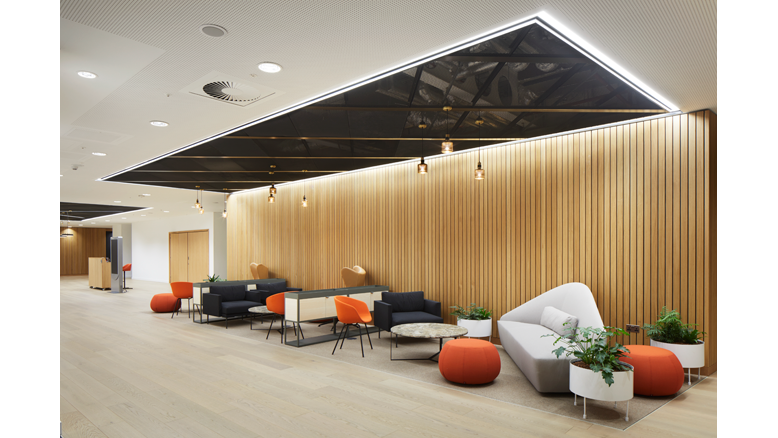 Black metal ceilings are a key feature of HSBC UK’s new headquarters. 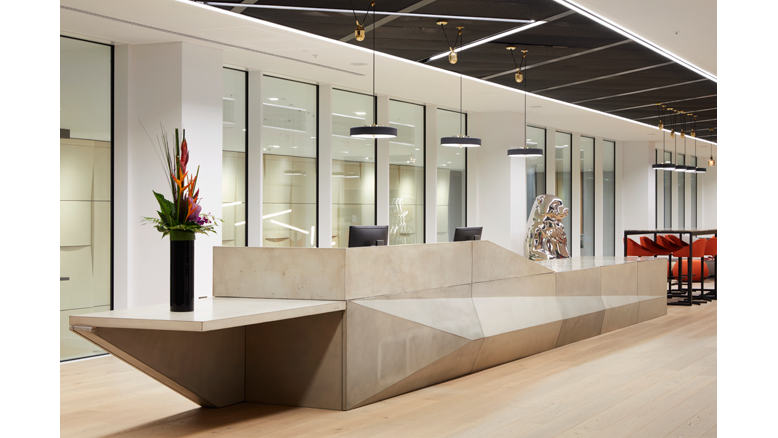 Armstrong Ceiling Solutions were specified for key features in a next-generation UK headquarters building because they are the architect’s trusted brand capable of supplying a complete system. Armstrong’s B-L302 jet black custom-mesh metal planks were complemented by the manufacturer’s Bandraster grid and Axiom blind box on levels 1 and 2 of the “university” reception, marketplace (canteen) and break-out areas for HSBC UK’s new headquarters at 1 Centenary Square at Arena Central in central Birmingham. Located on nine acres of a key regeneration area for the city and the former home of Carlton TV, the 11-storey, 210,000ft2 building with three basement levels is constructed of steel frame with rainscreen cladding and houses offices, the HSBC university, a staff gym, restaurant and café, and an executive suite with catering. Extensive landscaping and external public realm works help to create a new “urban meadow” and public square at what is now known as Bank Court for developers ACDL – a joint venture between Miller Developments and Pro Vinci Asset Management.